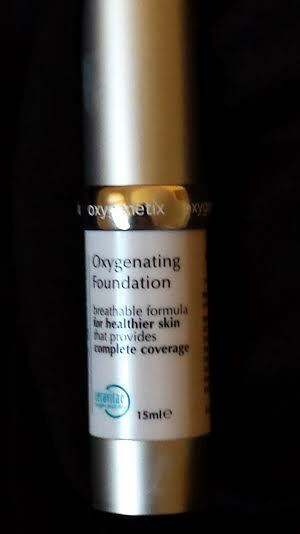 This Oxygenetix breathable foundation is new to the UK and I’ve been lucky enough to be amongst the first to try it out! I’ve been told about how it was developed in Beverley Hills in 2008 and is now used by leading make-up artists and A list celebrities. It was originally developed to cover and heal skin after cosmetic surgery. They say that it has real skin care benefits, provides flawless coverage and allows the skin to breathe more than any other foundation brand. It’s also transfer and water-resistant as well as a whole host of other benefits that you can find out about here. I chose ivory and was really pleased about how naturally it blended into my skin. It goes on smoothly and sets very quickly. It doesn’t give really thick coverage but is buildable. I travel into work on tube and it’s really hot at this time of year but I found that this foundation stayed in place. It also makes my skin feel great. Another thing that’s a real bonus is that it doesn’t contain parabens and does contain lovely things like Vitamin E, Grape Seed extract, Green Tea and hyaluronic acid. The only small thing that isn’t to my taste is the branding. It comes in a lovely shiny silver pump dispenser but the label makes it look like something prescribed by the doctor. I can understand that this might be something left over from its origins in cosmetic surgery but I’d prefer it to look a little more Beverly Hills. It comes in 14 shades and retails at £37.50. If you’d like to try it then you can buy it on-line here. Do let me know if you’ve heard about this brand or tried the foundation. Thank you. Have followed you.